Samsung is rolling out a new software update for the Galaxy Watch Active. It is a small update which brings improvements in battery charging algorithm. The new update, which comes with build number R500XXU1BSD3, weighs 13.48MB over the air (OTA). The OS version is Tizen 4.0.0.3. 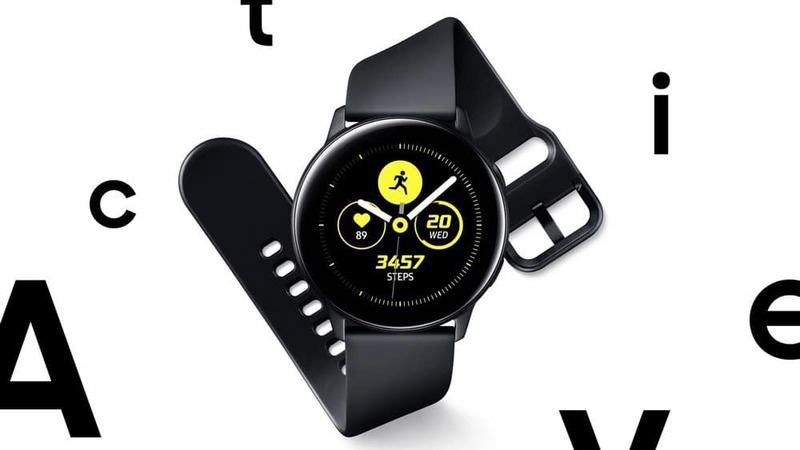 Samsung launched the Galaxy Watch Active in February with some significant changes in design. The new watch is thinner and lighter than its predecessors, and most importantly, comes without the company’s signatory rotating bezel. Feature-wise, the watch, however, is no less than the Galaxy Watch. It can track 39 different physical activities, and also keeps a tab on your sleep cycle and blood pressure. The watch also sends users a Heart Rate Alert if it detects an abnormally high resting heart rate. The watch features a 1.1-inch Super AMOLED display, and is powered by the Exynos 9110 dual core 1.15GHz processor, coupled with 1.5GB RAM and 8GB storage space. The military grade device comes with IP68 and 5ATM rating for dust and water resistance. It packs a 230mAh battery, which does enough to run the watch for a full day on normal usage. Samsung has been actively pushing software updates to improve the battery life of its smartwatches. Only last week, the company rolled out an update for the LTE variants of the Galaxy Watch. It is now pushing an update for the newly launched Galaxy Watch Active. According to the changelog, the new update improves the battery charging algorithm and stability of the watch. The update is currently available in the US and should be making its way to other regions soon. You can check for the update by launching the Galaxy Wearable app on your connected smartphone and then clicking on the Download updates manually option in About Watch under the Settings tab. Remember that updates are released in stages, and may take some time before they reach every Galaxy Watch Active unit across the globe. You should get a notification when the update is available for you. Have you received the latest firmware update on your Galaxy Watch Active? Let us know by dropping a comment below.